Welcome to Chris Gamber Painting! Thank you for your interest in Chris Gamber Painting! 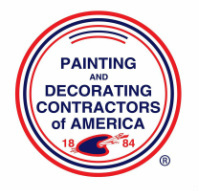 We are a small, service-oriented custom painting company that does residential and commercial projects. Our free estimates are scheduled at your convenience and often take less than 30 minutes! Call us today to schedule. Located in the heart of West Reading, we've been servicing Berks and beyond for 17 years! Our trained employees work to provide the most value through proper surface preparation and correct application of coating systems. Our goal with every project is to satisfy you! Click on the benefits tab to learn why you'll be happy you went with us for your project. Take a tour through our site and see what services you can take advantage of today. 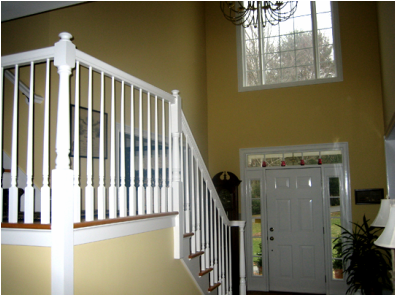 Click the blog tab for great articles related to home improvement! Make sure to connect with us on Twitter, Pinterest and Facebook for great tips and home maintenance tutorials! We welcome all questions and look forward to working with you! This house had not been maintained well for the last 30 years. (Recently Purchased) We offered you a considerable challenge. The results far exceeded our expectations!!! Thank you very much for a job well done. Excellent, professional, details all done to complete satisfaction. I am extremely pleased with the outstanding work done at my home. Also, the way planning and paperwork was done. I will surely recommend Chris to my friends and co-workers. Professional and knew the job well. Will definitely rehire for future projects. I was very happy with the Gamber painting company. They were very professional, neat, punctual, and thorough. While prepping my house for paint, they masked off all windows and doors and not a drop of paint was where it should not have been. They power-washed my house completely and even cleaned my rear deck "because it was the right thing to do." I will hire them again to power wash my daughters home. Simply put, great work at a fair price with old school customer service...I could not be happier! ​They did a fantastic job! We hired Chris' team to paint our entire downstairs including trim and doors and everything turned out perfect. They were timely, very fairly priced, communicative and SO clean. I would hire them again for any painting related job. The individuals who worked on our house were so nice, friendly and extremely respectful of our home. Enter your Email for useful home improvement tips, and ideas! Visit Chris Gamber Painting's profile on Pinterest.